Whether your aim is to dominate the marketplace or simply sell a few items fast, using Ad Upgrades is the best way for you to boost your ads visibility and exposure in the marketplace. As a general rule of thumb; the more visible your ads are to buyers, will influence the amount of views and enquiries that are made on your ad(s)! 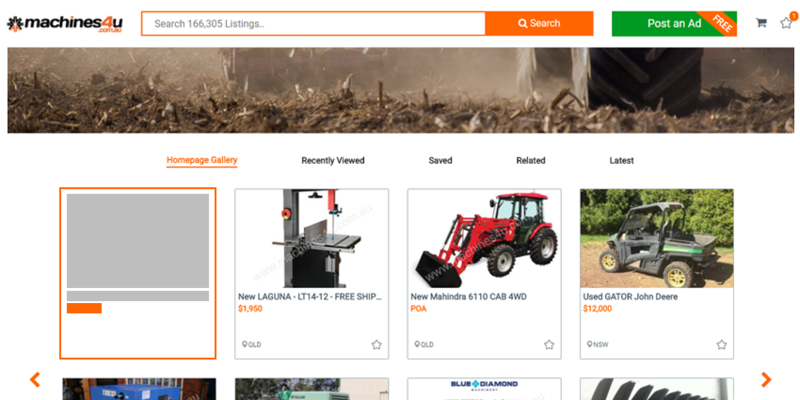 Individual Upgrades such as Top Ad, Label or Homepage Gallery are great for sellers who want to compete in the marketplace, boost ad visibility and generate more leads. Top Ads are always the first listings to appear on Search Pages. The Top Ad Section is always placed above the Search Results Section and are an easy way to increase ad exposure and visibility. Make your Ad stand out with a Label in search results. Labels are a great way to provide that extra piece of information to grab a potential buyers attention. Place your Ad on the Homepage Gallery and have potential buyers see your ad without even searching for it. 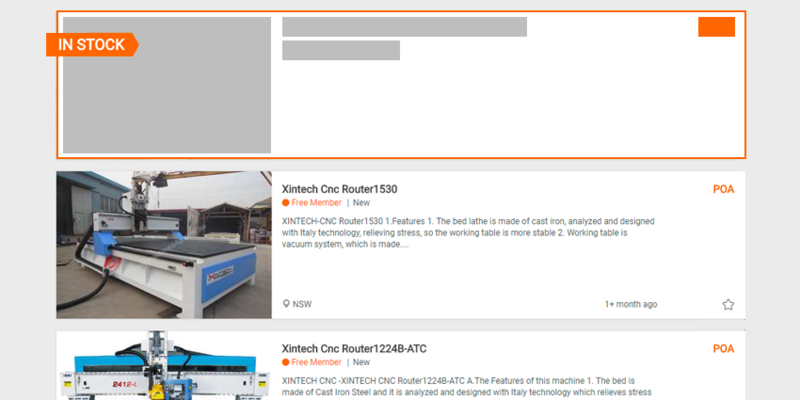 The Homepage Gallery is the most prominent place on the Machines4u Marketplace. If you’re a serious seller and want to dominate the marketplace, Upgrade Packages are the best way to supercharge your ads. Upgrade Packages give you all the benefits of Individual upgrades, plus space for additional photos and video. There are three types of Upgrade Packages: Ultra, Super and Extra. Ready to start upgrading your Ads? Looking for a cost-effective way to Upgrade your ads? We offer flexible Dealer and OEM advertising solutions to suit businesses of any size. How long do Ad Upgrades last. Ad Upgrades last for 30-Days and can be auto-renewed until sold. How are Ad Upgrades Priced? There is no fixed pricing system for Ad Upgrades. Pricing is determined by the type of item being listed and the current demand in the category of the listing. Pricing may vary up and down at different times of the year, depending on demand in an industry or market sector. The intent is to provide the best upgrades for the most exposure available for the best market price possible at all times, no matter what you are listing. "Very happy with the site! Second time I have used it and both items sold!"